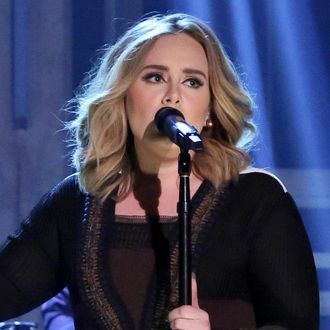 Adele has done it: Billboard reports that 25 now has the biggest-selling first week in the U.S. since Nielsen Music began tracking such sales in 1991. Her third album has broken ’N Sync’s record of 2,416,000 albums sold in one week back in 2000, selling 2,433,000 in pure album sales — that’s physical copies and download equivalents — in just over three days. Her album is expected to finish the week with just under 3 million albums sold, but could even exceed that. In other words, Adele is unstoppable.